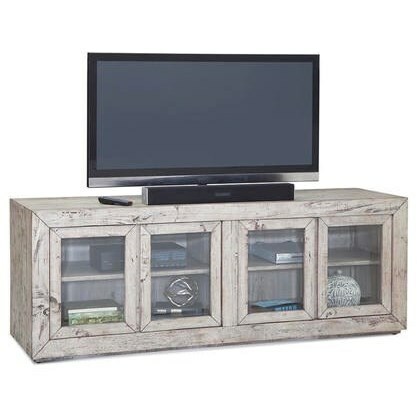 Organize your living room items in this rustic designed 72" media chest. This media chest features four glass doors revealing several shelves to display your entertainment devices and decorations on. Finished with a distressed effect that will add charming rustic detail to your home, this media chest will make the perfect addition to your living space. The Renewal by Napa 72" Media Cabinet by Napa Furniture Designs at HomeWorld Furniture in the Hawaii, Oahu, Hilo, Kona, Maui area. Product availability may vary. Contact us for the most current availability on this product.